Auguste Roedel lithograph poster "Fallou Bouquins Affiches"
Medium: lithograph (after the poster). 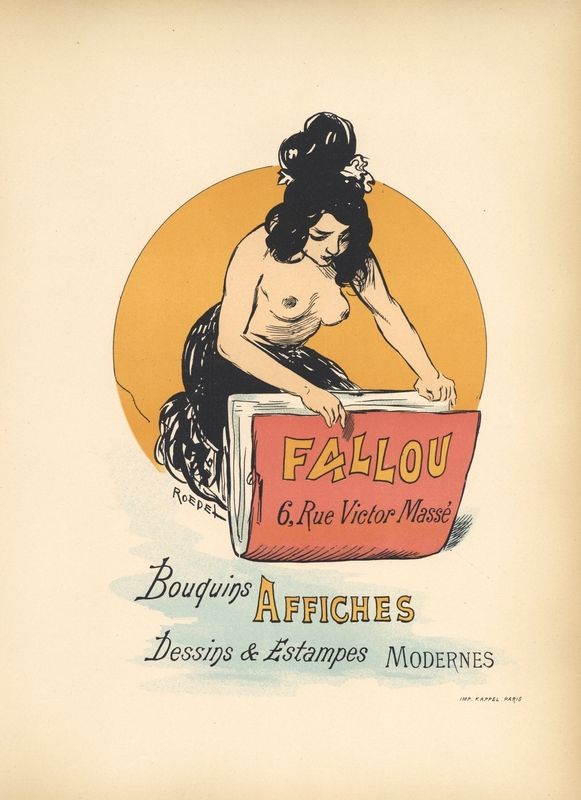 This beautiful lithograph is a vintage 1897 replica of the original poster, printed on smooth wove paper and published in Paris in 1897. The image size is 9 x 6 1/4 inches (230 x 165 mm) and the total sheet measures 12 3/8 x 9 inches (315 x 228 mm). Signed in the plate (not by hand).